July 1944: During the summer of 1944 some 800-1000 men express a wish to join the SS at the HQ of V Corps of the Honvédség in Szeged. Their request is forwarded to the Hungarian Ministry of Defence who contacts Georg Keppler SS-Gruppenführer und Generalleutnant der Waffen-SS. Command language is to be Hungarian. August 20 1944: A contract is signed with the Hungarian Ministry of Defence to form a new SS unit. László Deák is assigned CO as SS- Standartenfuhrer . Kampfgruppe ,,Deak” is taken over by the Waffen SS and is assigned as a “special formation” to IX SS Mountain Corps under SS Gruppenfuhrer Karl Sauberweig which is headquartered in Belgrade. August 21 1944: The unit moves to IX SS-Gebirgskorps supply depot in Belgrade. The depot accepts the recruits and equips them. August 26 1944: Basic training of the green 3 Company and training of the other Companies for German weapons starts. September 10 1944: The unit returns to Hungary. Training starts near to the town of Titel which is in Bacs Committee. September 21 1944: Kampfgruppe ,,Deak” is combat ready apart from the green 3 Company which is designated a training unit. September 22 1944: The Kampfgruppe (less 3rd company who carry on training) transfer back to southern Bácska-Bánát (the unit is based in Vojvodina) where they fight Tito and his partisans under the overall command of Army Group F/Southeast. This continues until October 10 1944. The Kampfgruppe withdraw to Ujvidek. October 11 1944: Kampfgruppe ,,Deak” (now at full strength) is heavily engaged in a fighting retreat along both banks of the river Danube in the south Batschka region and around Baranya under 22 SS ,,Maria Theresia” (3) and then 31. SS Grenadier division. This continues until October 28 1944. October 13 1944: Kampfgruppe ,,Deak’’ is engaged in fighting in the Banet area. October 28 1944: Acting as part rearguard during the withdrawal, ,, Deak" is involved in fighting in an area south of Szekszard and this continues untl November 2 1944. October 30 1944: Kampfgruppe ,,Deak” reaches its new quarters at Balatonszentgyorgy. November 2 1944: Kampfgruppe ,,Deak" is in the area around Szekszárd under 31. SS Division but does not actually become attached to the division. Due to the heavy casualties received in the fighting on the 28th October (suffering losses of 297 men (3 officers and 272 men killed and 22 men missing and approximately 400 wounded) Kampfgruppe ,,Deak” does not become part of the defence forces on the river Danube and is withdrawn back to Hungary. 1 The Levente Institution was a para-military organisation for 17 years of age and over. It was similar to the Hitler Youth but differed in respect of political and ideological training. 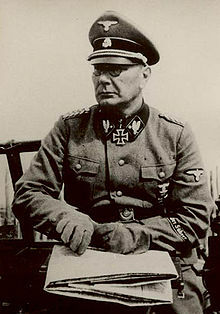 2 His adjutant from 15.08.1944 - 10.11.1944 was Obersturmführer Herman Tóth. 3 According to one source Kampfgruppe ,,Deak” was attached to 33. SS Division. Please see ,,Gombos" & other divisions for full details.